3 course dinner featuring a hog roast with all the trimmings provided by Ashley Maunder of Home Farm, Kingweston, followed by Lovington's Ice Cream and rounding off with a selection of three Somerset cheeses with biscuits. 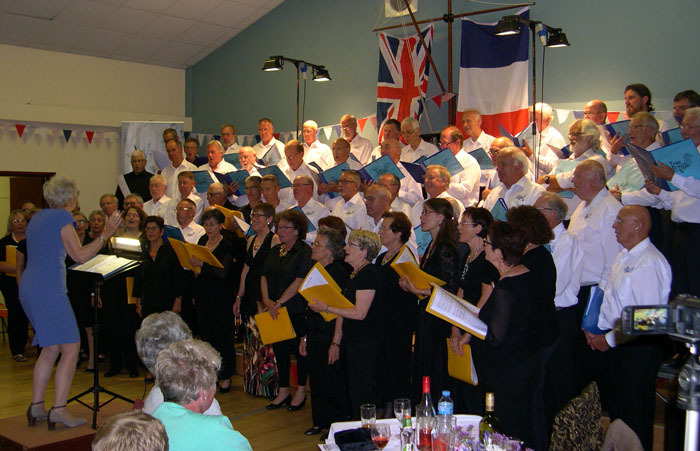 Right: The Brue Boys preparing to start the concert. Accompanist Hilde Senior is far right and Conductor Jennifer Westcott is about to take up the baton. 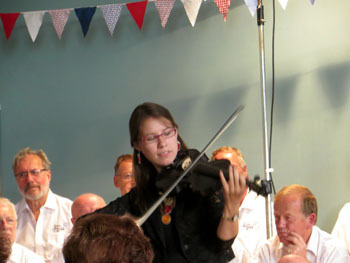 and, as pictured here, at the Keinton concert. 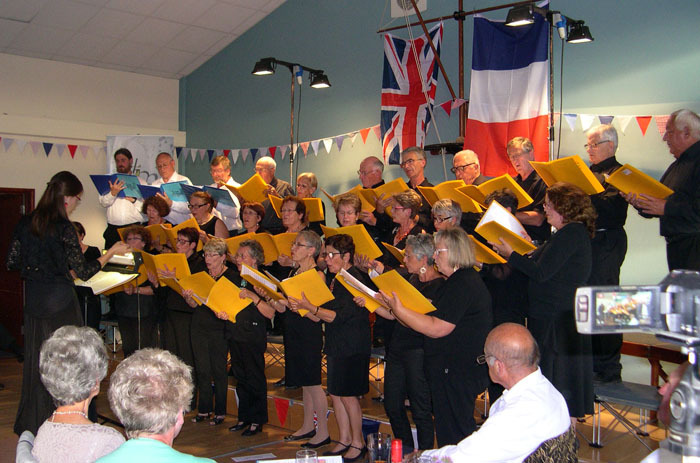 Les Voix du Marais Choir performed two sets of songs either side of the interval. 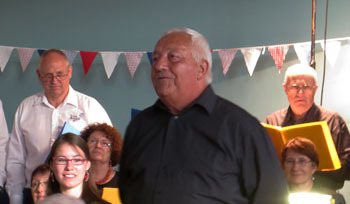 Robert Peto, Ashley Christopher and Trevor Ryder as few tenors were able to travel. perfect as a partnership with the Brue Boys.